CaribPR Wire, MIAMI, FL, Weds. May 30, 2017: The CaribbeanTales International Film Festival and their partners today announced their 2017 Short Film Challenges (SFC). The SFCs throw a spotlight on important themes, new voices, and urgent current social issues, providing a platform and visibility to emerging filmmakers. #INTERSECT – for Queer and Trans People of Colour (QTPOC), co-presented with the Toronto Queer Film Festival, features diverse stories of any theme and genre from across the Caribbean Region and Diaspora. This challenge is supported by the Black Coalition for AIDS Prevention. #BlackLoveMatters, is presented with the Toronto-based Black Daddies Club and Young and Potential Fathers, and will explore stories of black masculinity, fatherhood, and black love. CineFAM Caribbean Smartphone Challenge – presented by Flow and in partnership with the Belize International Film Festival and the Chicago Caribbean Film Festival. This challenge is open to all Caribbean women living in the Region and Diaspora. The winner will receive a $1,500 USD prize, a combination of cash and equipment. CineFAM Canada – presented with Trinity Square Video and Telefilm. Designed for Canadian women of colour creators through an open call for 5-minute screenplays. Two teams will be chosen to receive production support and in-kind funding up to $1500 through Trinity Square Video and CaribbeanTales. CineFAM South Africa - presented with Sisters Working in Film and Television (SWIFT) at the Durban Film Mart (DFM). The Challenge will take place on the second week of the Durban International Film Festival 2017, where SWIFT will offer a no-budget filmmaking workshop. A theme will be announced and filmmakers will have five days to write, shoot, edit and upload their films. Enrolment in the workshop is non-mandatory. The Challenge is open to all women-identified South Africans and will be open for submissions between July 18, 2017and July 23, 2017. Winners will get the opportunity to attend and premiere their films at CTFF in September 2017. Participants in each Challenge have the opportunity to compete for a range of prizes. Winning films will have their World Premiere Screening at CaribbeanTales International Film Festival (CTFF) 2017, and receive distribution through CaribbeanTales Worldwide Distribution on CaribbeanTales-TV-com. All films must be five minutes or less, must be world premieres, and must be owned, created and led by people of colour. For more information and to submit to one of the challenges visit the website: http://caribbeantales-tv.com/short-film-challenges/. Trinity Square Video is a space to re-imagine media arts. Founded in 1971, it is one of Canada’s first artist-run centres and its oldest media arts centre. As a not-for-profit, charitable organization Trinity Square Video aims to meaningfully engage diverse creative voices through its accessible production, post-production, and exhibition support. Trinity Square Video champions an evolving definition of video by presenting challenging contemporary art that inspires its members and audiences to expand their understanding of media art. We strive to create a supportive environment, encouraging artistic and curatorial experimentation with video that challenges notions of medium specificity and advances media art as a creative discipline. Telefilm Canada is a Crown corporation reporting to Canada’s federal government through the Minister of Canadian Heritage. Headquartered in Montreal, Telefilm provides services to the Canadian audiovisual industry with four regional offices in Vancouver, Toronto, Montreal and Halifax. Sisters Working In Film and Television is a non-profit organization established in 2017 that aims to advance the participation of women professionals in film and telelvision. The organization lobbies for inclusion, gender parity and the support of womxn in the South African audiovisual landscape while forming pan-African and global networks for womxn professionals. Durban Film Mart is a co-production and finance market and is a joint programme of the Durban Film Office (DFO) and the Durban International Film Festival (DIFF). DFM provides filmmakers from across Africa with a valuable opportunity to pitch projects to financiers, distributors, sales agents and potential co-producers, and to participate in meetings, project presentations and a series of master classes and workshops on the latest industry trends. Flow us a customer brand under C&W, which is a full service communications and entertainment provider and delivers market-leading video, broadband, telephony and mobile services to consumers in 18 countries. C&W also operates a state-of-the-art submarine fiber network – the most extensive in the region. Learn more at http://www.cwc.com/, or follow C&W on LinkedIn, Facebook or Twitter. NASSAU, Bahamas, March 28, 2017 /PRNewswire/ – Bahamas-born Sammi Starr, Sony Music recording artist, is proud to announce the launch of “#Bahamas, Your Best Picture Deserves My Best Song”, a grassroots social media campaign aiming to share with the world Sammi’s love for his country and the sounds of its Junkanoo festival through his song “Jump in Da Line”, a single produced and remixed by Latin Grammy® winner, DJ Buddha. 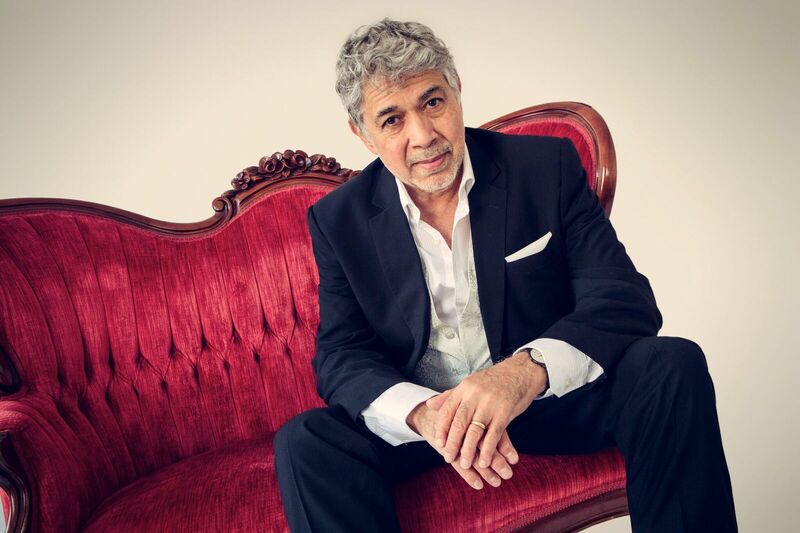 Sammi Starr is launching “#Bahamas” on Tuesday, March 28th on his website www.sammistarrmusic.com as well as on Instagram. 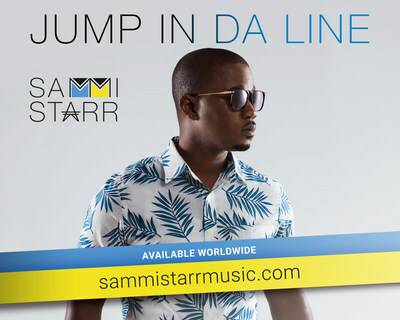 Sammi will search for his favorite photos and videos posted on Instagram with the hashtag #Bahamas and share them back with a soundtrack, his Bahamian Carnival anthem “Jump in Da Line” as well as an invitation to visit his web page. Fans can also add Sammi’s music to their photos themselves visiting www.sammistarrmusic.com. “When you come to The Bahamas you are surrounded by beauty, music, culture, history and great vibes. I find thousands of pictures on Instagram of Bahamians and visitors having the time of their lives here. They inspired me to add my song “Jump in Da Line” as the soundtrack to their most vivid memories as we all celebrate together Junkanoo style through #Bahamas!” said Sammi. “Jump in Da Line” is inspired by Junkanoo and it describes the Bahamian Junkanoo festival including the groups in formation and lines all moving to the sound of the rhythm. The song has received extensive airplay since its release and you can listen to it on the platform of your preference clicking here.